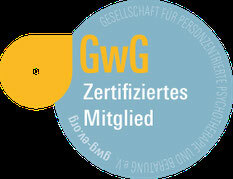 GwG Certificate - "Person-centred counsellor"
Three-year advanced vocational training with 780 hours worth of work. This German article about "learner-centred education" was published in march 2017 in the specialized journal of the GwG "Client-centred therapy and client-centred counselling" (ed. 1/2017).